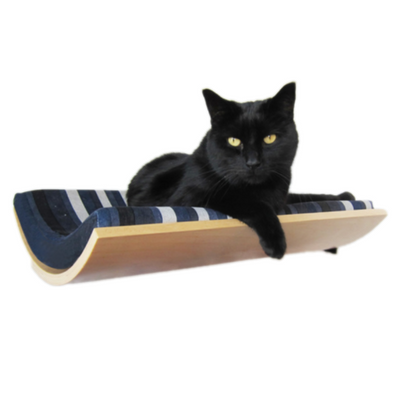 So you just bought a fancy new scratching post for your kitty, but he still insists on using your couch instead. 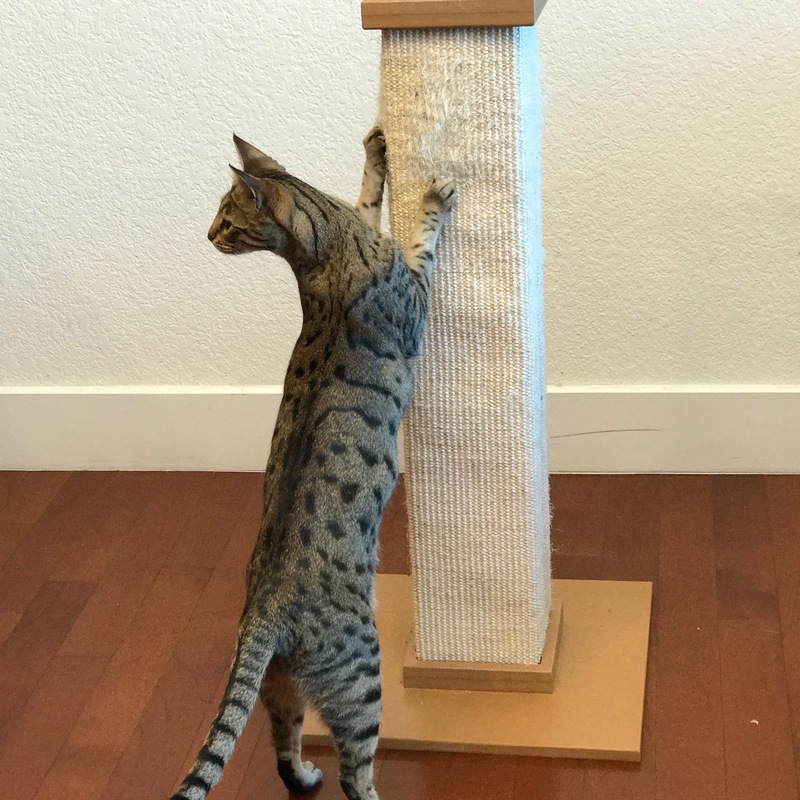 Before you give up entirely, there are a few simple things you should try that’ll help get your cat to use a scratching post. 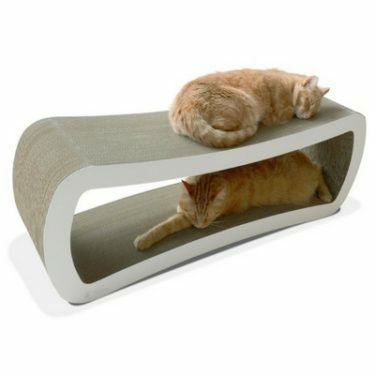 For starters, make sure you have a good quality cat scratcher or scratching post. These are our top picks. 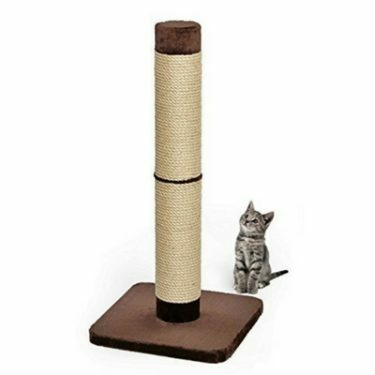 If you opted for a cheap, low-quality scratching post that isn’t sturdy or isn’t tall enough, that could be the reason your cat still prefers his former scratching post, i.e. your couch. 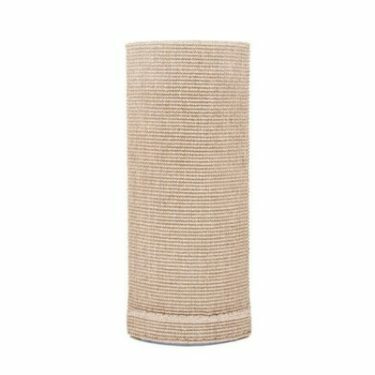 Make sure the scratching post is placed in a prominent part of the house and not tucked away in a corner. 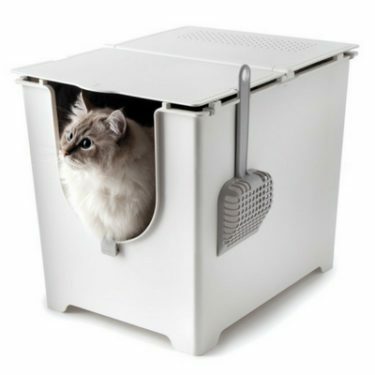 Cats like to scratch to mark their territory, and they’re probably only interested in marking the most desirable territory in your home. 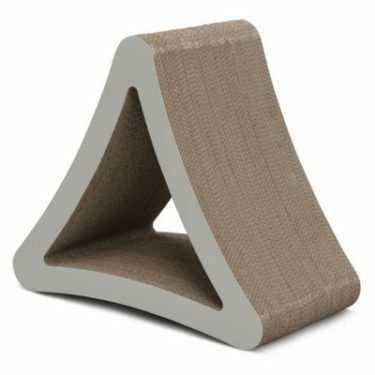 If your cat already has a habit of scratching at your couch or other furniture, put the scratching post right next to the furniture he scratches. 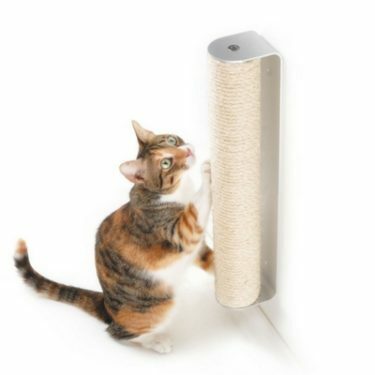 You might not have to make it the permanent home for the scratching post, but it’s a good place to start until your cat gets the hint. 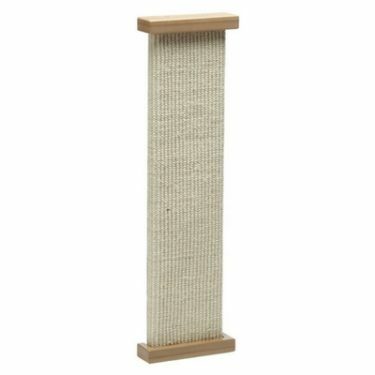 There’s a reason most of the top-rated cat scratchers on the market are sold with a baggie of catnip. 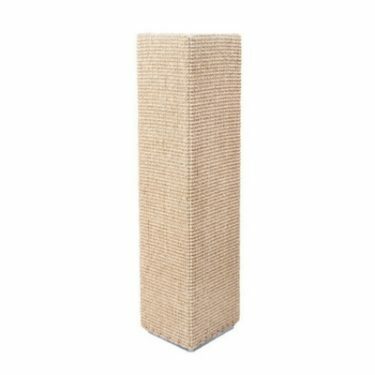 If your cat scratcher didn’t come with catnip, you can find it at any pet store or on Amazon. Simply sprinkle a bit of catnip on the scratching post and see if that does the trick. 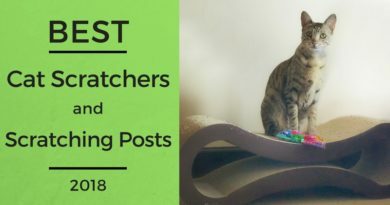 Even if your cat doesn’t immediately start scratching at it, you’ll at least start building the association that the post belongs to your cat. Just getting them to rub up against it is a step in the right direction. 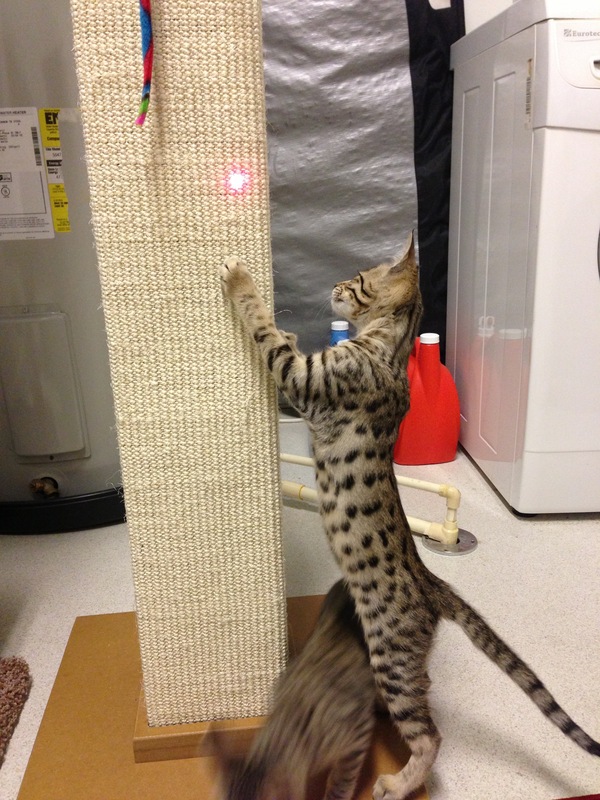 Whether you use a laser pointer or an interactive wand toy, make sure your play sessions incorporate the cat scratcher. 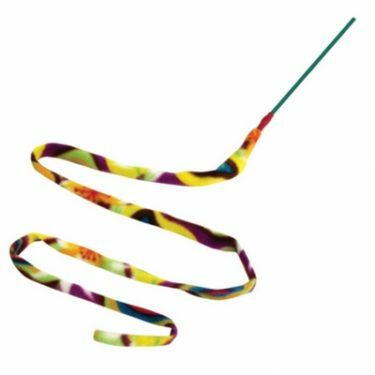 Dangle the toy along the side of the scratching post until your cat pounces on it. 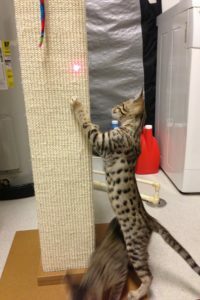 If you have an extra tall scratching post like the SmartCat Ultimate Scratching Post, try placing a toy on top of the post. 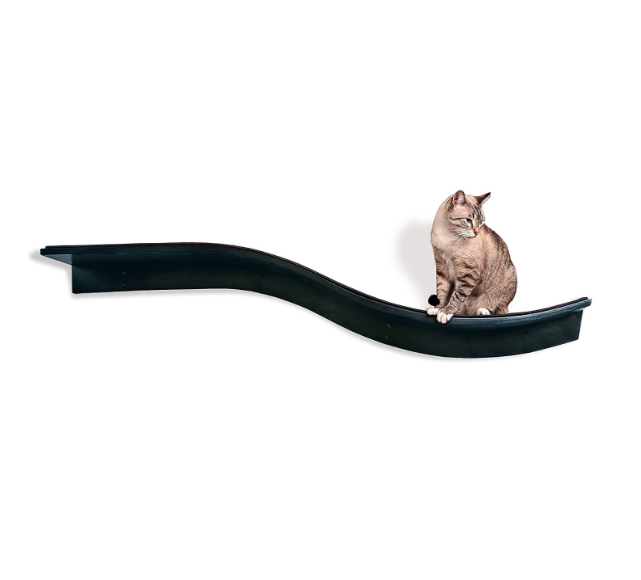 Your cat may jump up to get it or climb the post. If you don’t have a toy handy, just use your fingernails to gently scratch at the scratching post. 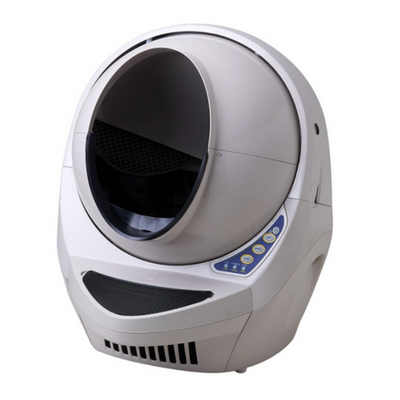 The scratching noise alone is sometimes enough to get your cat interested in scratching. 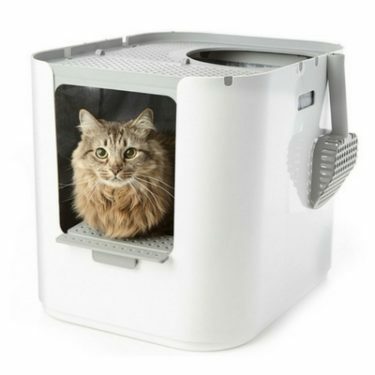 Dogs respond well to negative verbal commands, but cats do not. 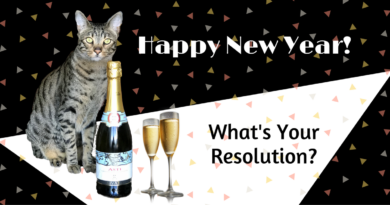 The best way to train a cat to do what you want is to reinforce positive behaviors with treats. 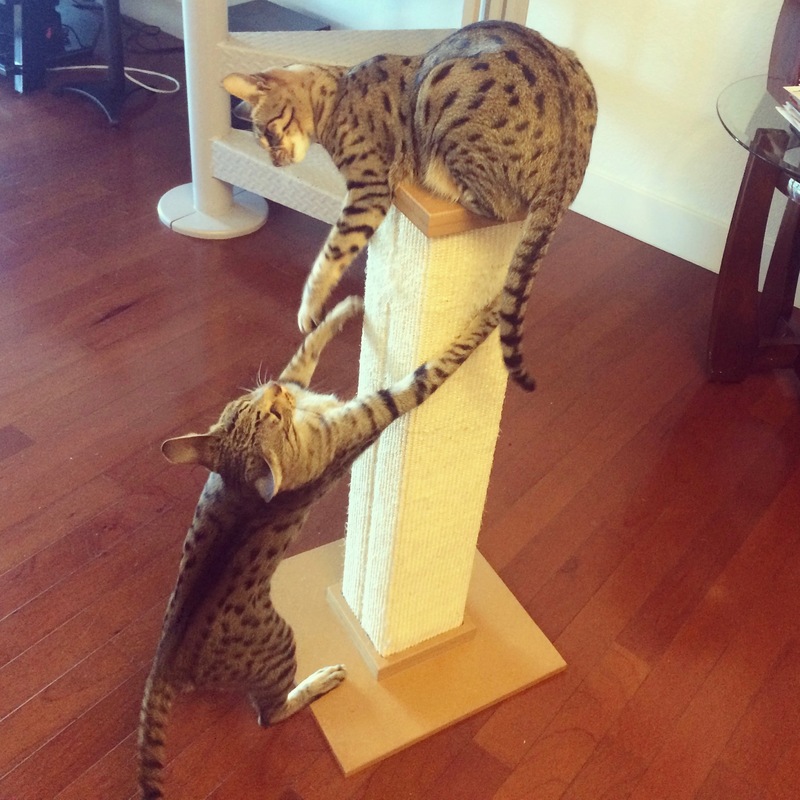 With treats in hand, repeat steps 3 and 4 until your cat makes any positive interaction with the scratching post. A positive interaction doesn’t have to mean scratching. 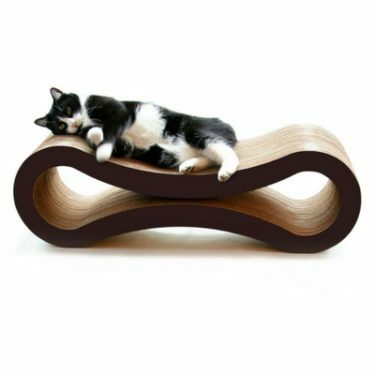 It can be anything from rubbing against the scratcher, to jumping on the scratcher, to resting a paw against the scratcher. When this happens, verbally praise them and immediately give them a treat. 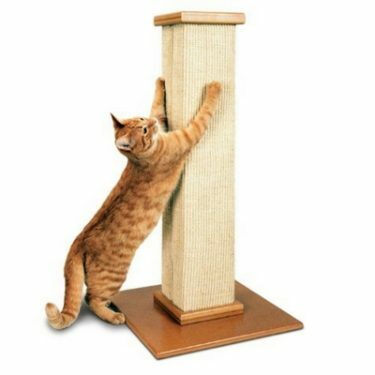 If your cat is very food-motivated, you can try placing a treat on top of the scratching post. 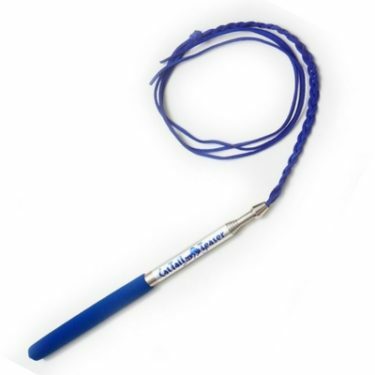 Even if they don’t scratch, you are building positive associations with the scratcher. 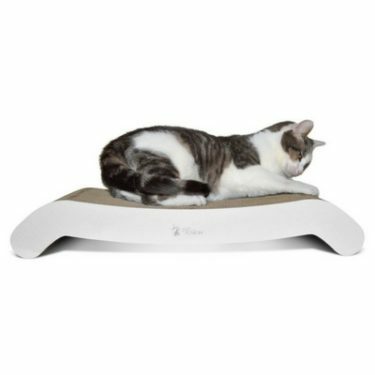 Have patience and your cat will eventually start using the scratcher. 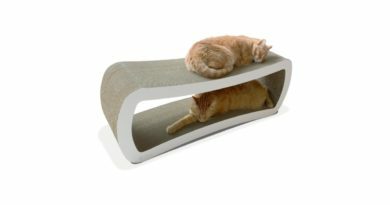 When Arya and Django were kittens I didn’t have much luck getting them to scratch their SmartCat Ultimate Scratching Post. 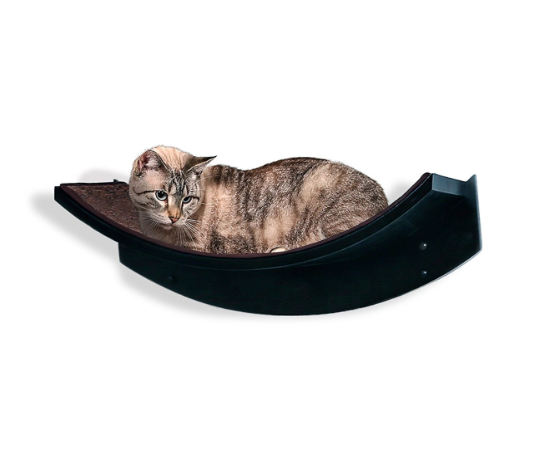 But I always incorporated the scratcher in play sessions and they got used to climbing it. 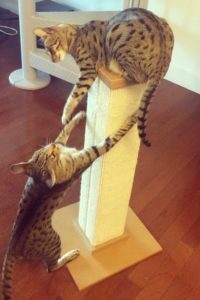 As they got older and their urge to scratch became more apparent, I noticed they started using the scratching post as it was intended to be used. But they were also scratching at other things in the house. 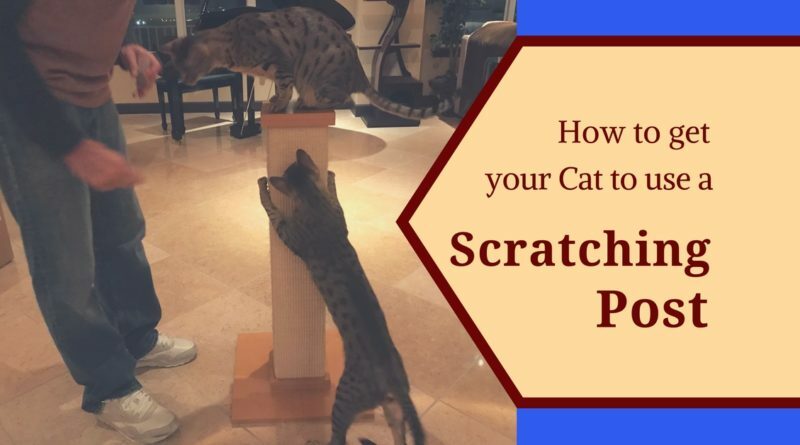 That’s when I relocated the scratching post to a central spot in my living room and began the process of training them to only scratch at the post. Every day when I’d come home from work I’d walk to the scratching post, scratch it with my fingers, and then reward my cats with a treat when they scratched it too. Before long, this became a routine for them and they’d rush to the scratching post and start scratching vigorously as soon as I’d walk in the door. Now I just verbally praise them and pet them whenever they scratch any of their scratching posts. 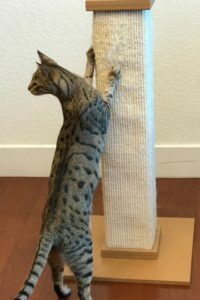 On rare occasions when they slip up and scratch the couch or the carpet, I calmly walk to the scratching post and start scratching it until they make the switch back to the scratching post.